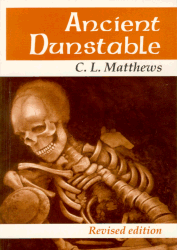 Ancient Dunstable by C. L. Matthews, revised and enlarged by J. P. Schneider, describes itself as “A Prehistory of the District”. It is a popular work which features the Beaker burial at Sewell, the Iron Age, Roman and Saxon discoveries at Puddlehill, the Roman villa at Totternhoe, the Roman building at Bidwell, the Roman cemetery in Dunstable town centre, and the Saxon cemetery at Marina Drive. It is available from the Society for £3.50 plus £1.50 p&p. 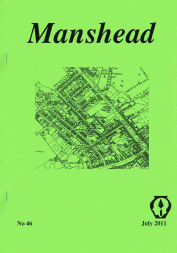 Initially published as the Manshead Magazine in 1958, the title was changed to the Journal of the Manshead Archaeological Society of Dunstable starting with number 17 in 1967. Copies are available for sale, except for numbers 13, 14, 16, 23, 31, 33, 40, 42 and 44. A complete set can be consulted at Dunstable Library. The articles in the Journal about the excavations of medieval features on the site of Dunstable Friary are available online as part of the website for the Medieval Dunstable project. C. L. Matthews, “Anglo-Saxon Cemetery at Marina Drive, Dunstable”, Bedfordshire Archaeological Journal, 1, 1962, pages 25–47. C. L. Matthews, “Occupation Sites on a Chiltern Ridge / Part 1: Neolithic, Bronze Age and Early Iron Age”, British Archaeological Reports, 29, 1976. C. L. Matthews et multi alii, “A Romano-British Inhumation Cemetery at Dunstable”, Bedfordshire Archaeological Journal, 15, 1981. C. L. Matthews and S. C. Hawkes, “Early Saxon Settlements and Burials on Puddlehill, near Dunstable, Beds”, Anglo-Saxon Studies in Archaeology and History, 4, 1985, pages 59–115. C. L. (Les) Matthews and Dave Warren, “Romano-British Occupation on Puddlehill, near Dunstable”, Bedfordshire Archaeology, 20, 1992, pages 18–40. C. L. (Les) Matthews, Joan Schneider and Barry Horne, “A Roman Villa at Totternhoe”, Bedfordshire Archaeology, 20, 1992, pages 41–95.